Open now for Brunch, Lunch & Dinner. It’s Wine thirty…four. Another place to relax and have a glass. Our knowledgeable and friendly staff is happy to recommend a glass or bottle from our list of over 300 wines from around the world. Our seasonal lunch, brunch and dinner menus have been thoughtfully created by Chef de Cuisine Oscar Ortega and use only fresh and local ingredients. Wine:34 Chef de Cuisine Oscar Ortega creates seasonal lunch, brunch and dinner menus that feature fresh and local ingredients. Our cellar holds an exciting collection of hundreds of wines available by the glass or bottle. In addition, we maintain a fully-stocked bar for cocktails, beer, and more. 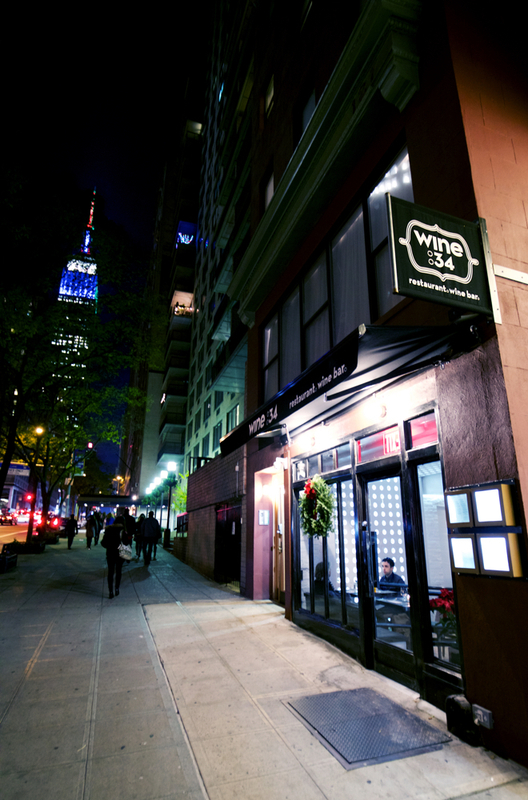 Our sister location, Wine:30, also accepts reservations. Our sister location, Wine:30, has 4 unique spaces for every private dining occasion. We can accommodate an intimate wine tasting in our cellar or a large meet and greet on our patio. Wine:34 is proud to have received Wine Spectator’s Award of Excellence 2016, 2017, and 2018. © 2019 Wine:34. All rights reserved.